7 Comments on "Easy No Knead Rye Bread"
I made the dough for the rye bread but I thought that I measured the water incorrectly because the dough was kind of tight. So I made another batch, carefully measuring this time. The dough came out the same way. Just as an experiment I added another half cup of water…..yes, looser dough. Well, I baked both of them and the one with more water was better for sandwiches because it was a little softer. 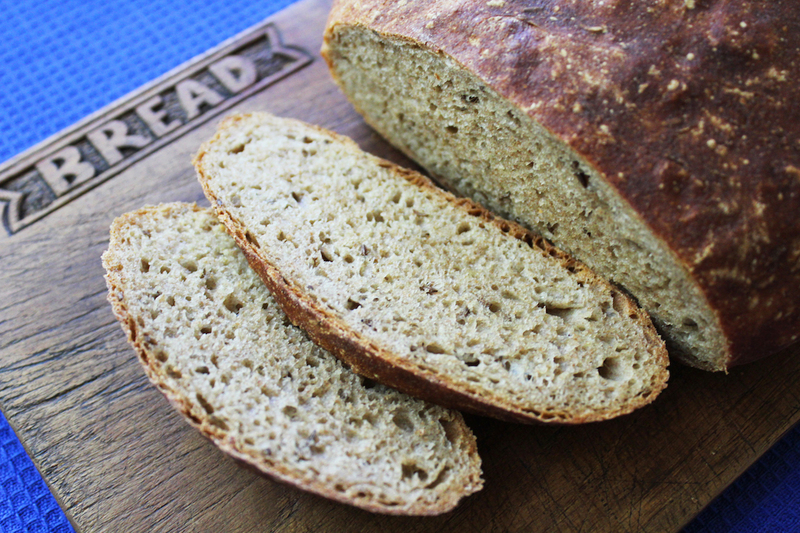 The other loaf is denser and great for eating with dinner. A nice, delicious rustic loaf! Thank you so much for all of your delicious recipes. People always say that the bread in Florida is awful because of the water. No, it is because they are not using your recipes! The no knead recipe is my only rye bread. This bread was soooo good! Though I made it the long way (rising all night) the result was amazing! Flavorful & moist, I sure will make it again! 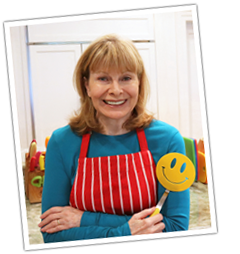 Thank you for your great recepies Jenny! We love you! Hi Jenny , when I discovered your site , and made your no knead bread , I started to make the rye bread ,I added one cup of dark rye to the 2 cups of white flour and gosh I got addicted I also grew up eating this rye bread AND NOW I AM MAKING IT MYSELF WOOO HOOOO .putting joking aside you inspire people you have never met , what a wonderful accomplishment , also Jenny I buy my flour that is stone milled right here in Thunder Bay Ontario , if you want to see what its about this is the site the addy is http://www.brulecreekfarms.ca they grind the grain with two pink granite stone mills . again ty ty ty so much I just made this rye bread have them on my counter and realized I don’t have my camera grrrrr . Thank you: will try it soon.